Blackest is the new black: Scientists have developed a material so dark that you can’t see it… « Adafruit Industries – Makers, hackers, artists, designers and engineers! 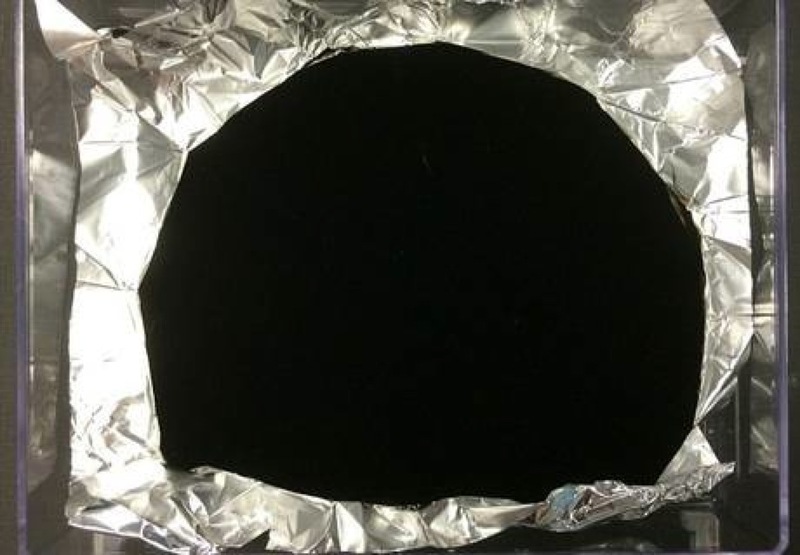 Blackest is the new black: Scientists have developed a material so dark that you can’t see it…. The nanotube material, named Vantablack, has been grown on sheets of aluminium foil by the Newhaven-based company. While the sheets may be crumpled into miniature hills and valleys, this landscape disappears on areas covered by it.